The latest report from Strategy Analytics show Apple has ‘blown away’ the competition in total smartphone sales, finally beating Nokia and just narrowly edging out Samsung, in Q2 of 2011. 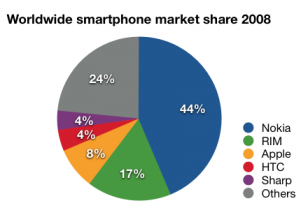 Global smartphone shipments grew a healthy 76 percent annually to reach a record 110 million units in Q2 2011. We had previously reported on Apple becoming the largest smartphone vendor in terms of revenue and profits. Now, just four years after the release of the original iPhone, Apple has become the worldâ€™s largest smartphone vendor by volume with 18 percent market share. Appleâ€™s growth remained strong as it expanded distribution worldwide, particularly in China and Asia. 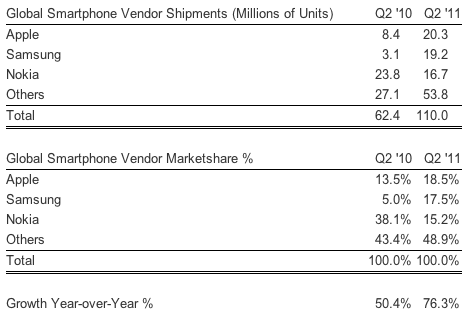 Apple led the pack in both shipments of iPhones and vendor marketshare. It’s an incredibly tight race between Apple and Samsung, as seen by the chart below. The latter’s shipments grew 520% annually, to blast to a 17.5% global smartphone marketshare. In comparison, Apple’s growth was 142% in year over year growth, and according to ABIresearch (via MacRumors), the top smartphone position is Samsung’s to lose. What about RIM? The Waterloo-based companyÂ suffered an 11% year-over-year decline, even though its international sales have blossomed. Meanwhile, the iPhone 4 is now Canada’s most popular cellphone. Apple’s success started when Steve Jobs announced the iPhone in 2007 at Macworld. 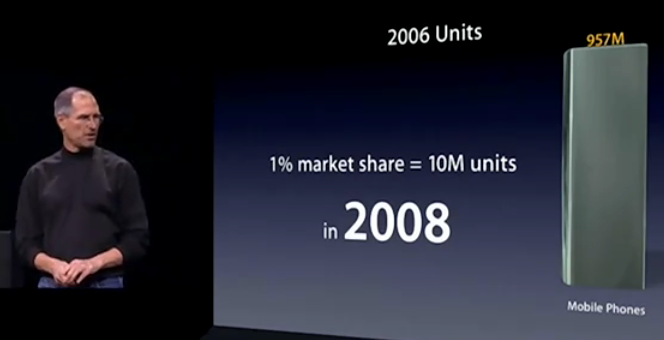 In summarizing the 2006 units of mobile phones, he boldly stated Apple planned to capture 1% of the market in 2008, and sell 10 million iPhones–they ended up selling 13.7 million.Â Fast forward to 2011, and Apple sold 20.34 million iPhones in Q3. Nokia will usher in their new line of Microsoft Windows Phone “Mango” powered phones in September.Â Manufacturers involved include HTC, Samsung, LG,Â Acer, ZTE, and Fujitsu Toshiba–all set to compete with the release of the iPhone 5,Â accordingÂ to Digitimes. Let the smartphone wars begin. 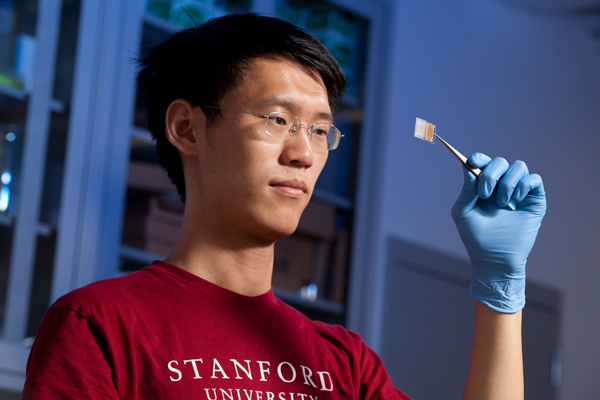 Transparent Battery in a New iPhone?